Showing results for tags 'Live Filter'. Hi, i'm just wondering about the live filter/perspective.Looks good at first sight, but subsequent corrections are nearly impossible. When the live filter perspective has been applied, any further mouse click is no longer related to the picture. Depending on how strong you corrected the distortion any tool you are usinf after the filter is no longer in sync with the mouse click. This makes this live filter useless to me. Or am i doing something wrong? Currently i'm using the normal filter for this, but this is destructive and cant be re-adjusted if you are not satisfied with the first attempt. Hello! I was trying to create a Photoshop mockup like one in Affinity Photo I just opened an image on Photo and placed a vector document which I worked on Affinity Designer. Then I applied the live perspective filter which didn't rasterize the document and worked as a perfect Photoshop smart object alternative. But whenever I try to align the corner points of the live perspective filter, the software crashes with no crash reporter popup window. And also sometimes it doesn't crash instead render the document improperly. I have attached the links for you people to take a look at the issue. Please look into this issue! I have no additional plugins installed, latest graphics drivers installed and have even tried a fresh install of the software but the issue persists. Watch this video to see AP crash when applying live perspective filter - Watch this video to see the improper rendering of the same filter when applied succesfully with no crash. 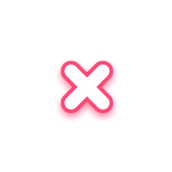 When applying a non-destructive Motion Blur filter and nesting them into a layer (tested with text layer), screen updates are confined to the bounding box of the original layer, even if the radius setting will make the result expand beyond the original bounds. Moving the result around will leave artifacts behind that can be cleaned up by forcing a redraw (eg. by toggling visibility on a layer that covers the entire document). Version is Photo 1.6.6 App Store build, Renderer set to OpenGL, Use Precise Clipping off, OS X 10.11.6. I've also had issues with the preview clipping the motion blurred result to the alpha of the base layer despite "Preserve Alpha" being off, but I cannot reproduce this after a reboot, even with the same document. This is probably a very unhelpful bug report, but... When I use the Perspective Live Filter layers Affinity Photo (1.5.1.54) often crashes, straight into the "Windows has encountered a problem with this application and is closing it". It happens frequently, but I can't see any sure-fire reproducible pattern. All I can say is that I use it with (Image) layers, maybe that helps narrowing the problem? Thanks! So when are the live filter grid lines going away? While the twirl filter is active, (starting from the Interactive Introduction), tapping on the active layer will reset the position of the twirl, but not the amount or radius, so i assume this is a bug (due to inconsistency, it doesn't look like a "reset feature"). This also seems to happen inconsistently with live filters (after converting it to a live filter, i expanded the layer in the layer palette, tapped on the live filter layer, and the settings were reset, but i couldn't reproduce it a second time). While the same filter is active, changing the opacity of the active layer with the opacity slider results in extreme flickering. Once the finger is removed from the slider, the opacity is shown seemingly correctly. When it's a live filter there seems to be considerable problem with visibility. Parts of the layer are missing, or not updating, when toggling visibility, opacity, and changing filter settings (like the Twirl position), seemingly as a consequence of the live filter. Please see the screenshot attachment. EDIT: when i toggled away to another app and back to Affinity Photo, this corruption clears up, which validates that it's a bug, not some kind of hidden masking (sometimes zoom and pan will force a successful redraw, sometimes not). Also, it would help a lot to have there be some kind of labeling on the filter controls panel to indicate to the user that they're working with a static filter or a live filter. There's really nothing on the screen that lets us know what we're doing if we've walked away and come back mid-action. Hi All, I would like to use Affinity Photo to create some nice low ploy art. In other software packages you draw some triangles and apply an average blur. In attached image I have started to draw some triangles using the pen tool and grouped them above the image. Please can someone help and advice if there is a way to apply a blur effect on the entire group which will affect the image underneath it. (Not the pen border). Any help is much appreciated! Thank you. Bizarre one this! MBAir running 10.11.4 - Affinity 1.4.1 Using the Perspective Live Filter to correct an image, which works as expected. Set to Show Grid to get the Verticals correct. Then use a duplicate screen layer to lighten the building and for some reason the grid lines are retained onto the picture when exporting or saving back into Lightroom. See the attached screen grabs and exported JPEG showing grid lines on and off depending on the screen layers visibility. Look at the cyclists at the bottom centre of the frame on the JPEG to see lines clearly. Edited to add, when opacity is set to 100%, the lines are not visible, but when set lower, the lines become visible Any ideas?